Keeping an eye on your dog’s digestion is very important for your dog’s well-being. Not only does the digestive system keep your dog healthy by absorbing nutrients but it also keeps them going, getting rid of the nasties and keeping the good electrolytes in and maintaining fluids. In order to keep our dog’s digestion healthy it is important to understand the benefit of probiotics and prebiotics (the substances that feed and sustain the probiotics and are often found in vegetables and fruit). A healthy balance of probiotics is necessary for your dog’s healthy digestion as is a healthy diet and plenty of exercise. Failure to care for your dog’s digestion can lead to issues such as Leaky Gut Syndrome which is what we are focussing on below. You may think this refers to loose stools but it is rather a little more serious than this. An unhealthy mix of digestive (intestinal) flora can lead to issues such as Leaky Gut Syndrome, a syndrome that allows toxins and unwanted allergens to pass into the blood stream through the intestinal wall. A healthy intestine would not allow for this to happen, the thick layer of mucoid material and probiotics help keep this layer healthy. The healthy lining cells act almost as gatekeeper allowing the good nutrients to pass through and keeping the nasty ones out. Unfortunately, Leaky Gut Syndrome can damage this careful balance and can lead to many diseases and illnesses within dogs including food allergies, inflammatory bowel disease, autoimmune issues and even arthritis to name but a few. Some instances which can contribute to Leaky Gut Syndrome include, poor nutrition including processed and GMO foods, bacterial imbalance, stress, infectious agents and lack of fitness. We understand the huge importance in keeping your dog healthy and are extremely proud of our Award Winning Range, which is developed by veterinarians and nutritionists, using natural non GMO human grade products, has been created to help you provide the very best for your pet. It includes not only food and treats but also Probiotic and Daily Fibre Care (Fibiotic Pro), Probiotic Advanced (in 15, 30 and 60ml syringes) and Digestive care for Dogs, Cats, Rabbits and Guinea Pigs. Take a look at our full range here. PLEASE NOTE ONLY TRADE VISITORS PERMITTED ENTRY. Great press release in Ideas4Pets: For the Broadreach Nature team, this year’s Crufts show was even better than last year. Below are a few highlights of our busy five days at the successful event. WISHING YOU A HAPPY NEW YEAR AND HEALTHY DIGESTION FOR YOUR DOG OR CAT IN 2019! 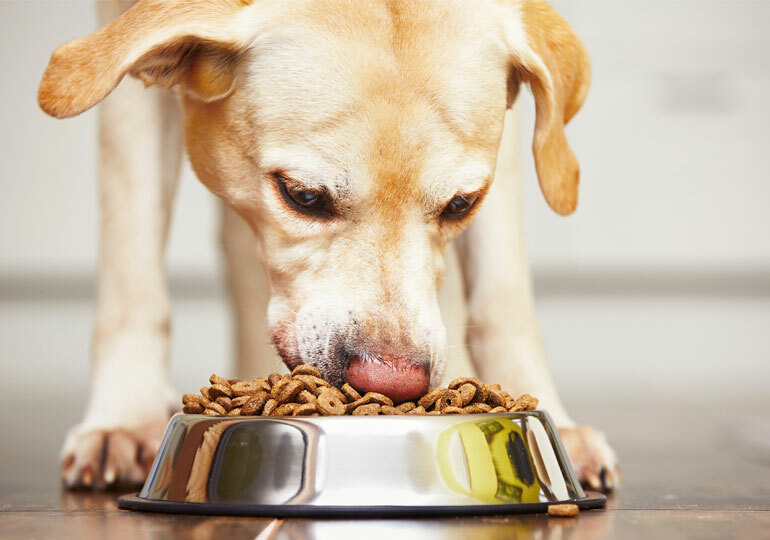 Your dog’s health can often rely heavily on their digestive system. Their immune system is affected greatly by their gut (stomach, colon and intestines) and these are the main pathways for nutrients to get into your dog’s body keeping them healthy and fit. If this part of their body isn’t kept functioning at it’s best it can often lead to ill health with not enough nourishment being received by their bodies. It is quite often the case that a dog’s gut flora can become overwhelmed and become upset. How can you help your dog maintain a healthy gut? From constipation in certain breeds to an upset stomach and loose stools it is often quite difficult to determine what is causing the issue. Avoid giving your dogs bones of any sort, fatty pieces of meat, raisins, grapes, dairy products, garlic or onions and any of the other foods we listed on our “Naughty List” prior to Christmas, maintain a healthy diet of dog friendly foods and introduce probiotics to your dogs diet. Worming treatments or chemicals entering the dog or cat’s system such as vaccinations or flea or mite treatments (we are not advising you to avoid these however we do advise you support the digestive system before and after these treatments are given). You may find your pet reacts in other ways too, but these are just a few pointers. Why Probiotics can be essential to your dog’s good gut health. To enable your dog’s gut to absorb the necessary food nutrients, enzymes and chemicals necessary for good health your dog’s gut must be up to the task. The ratio of good to bad bacteria in your dog’s stomach has a direct impact on how well your dog absorbs these and how they can fight off health issues such as vomiting, dry and itchy skin, frequent loose stools, dehydration etc. Pet probiotics can support good gut health. These probiotics contain live bacteria promoting all types of digestive processes. Probiotics can be given for a set period of time or can be given as a maintenance to the daily diet to keep their digestive tract in good health. We have products to support both. Our Probiotics Advanced for Dogs, Puppies Cats and Kittens is an Advanced, Extra Strength Veterinary formulation developed, approved and used by Vets in the UK. It helps support a sensitive or over-reactive digestive system and maintain optimal gut health and includes pre-biotics which sustain the probiotics. It uses an advanced base formulation of Bentonite Clay which has proved superior to the Kaolin based clay in absorbing enterotoxins and combines three key ingredients which may help to maintain digestive efficiency by restoring the microflora and soothing the gut lining. Probiotics in the form of Enterococcus faecium (NC1MB 104 15) are aimed at maintaining a high level of beneficial bacteria in the gut and Fructo-oligosaccharides (prebiotics) to provide nourishment for the probiotics. The blend of probiotics and clay is delivered in a syringe that is dispensed into the mouth. Clay absorbs the toxins and excessive fluids in the gut whilst the probiotics replenish the lost bacteria. This combination may assist in the stimulation of new cell growth, repression of the growth of harmful bacteria and may aid the immune system as well as aiding the intestinal absorption of healthy nutrients. Keep your pet’s gut optimised with good bacteria helping your dog be the best that he or she can be. 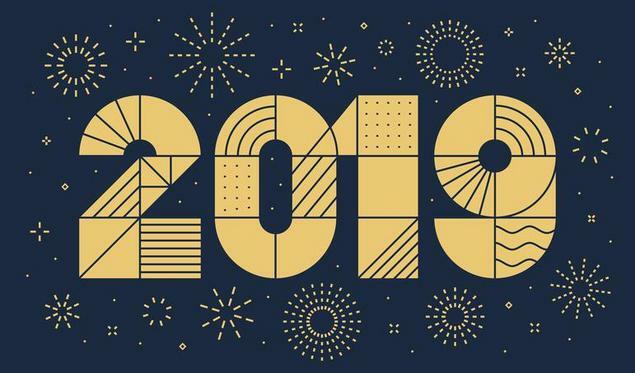 Wishing you all a very Healthy and Happy 2019! Christmas is a busy, fun and very special time of year but it is sometimes hard to make sure through all the Christmas Festivities that we keep our pets safe. BONES - A choking hazard as well as not being good for a pet’s digestion. CHOCOLATE - this is poisonous for pets – ensure you see a vet should your pet show any abnormal behaviour after ingesting even the smallest amount of chocolate or if you are worried about them potentially having done so. MINCE PIES, CHRISTMAS CAKE AND CHRISTMAS PUDDING - Raisins can be toxic to pets - they contain toxic compounds that are harmful. They have the potential to lead to rapid kidney failure and death. GARLIC, CHIVES AND ONIONS - They contain N-propyl disulphide, a compound that is toxic to dogs damaging red blood cells and reducing their ability to carry oxygen through the body. This often results in a condition called anaemia. AVOCADO - They contain a toxin called persin, which is known to be very poisonous to dogs. It may lead to fluid accumulation in their lungs and chest, which can cause breathing difficulties, oxygen deprivation and even death. ALCOHOL – Even the smallest amount can lead to ethanol poisoning which can lead to tiredness, lack of coordination, seizures, vomiting and diarrhoea. Remember during this time of the year baubles look like balls to dogs and cats and can splinter and choke, as can small balls found in crackers and tinsel may seem a great thing to use during a pull game but it’s not good for their digestive tract. And with all the natural greenery that Christmas brings remember to keep poinsettia, lillies and conkers out of your dogs reach as well as holly, ivy and mistletoe. Treat your pets to some yummy foods (in moderation) like cooked, boneless and lean red and white meat and vegetables like broccoli, carrots and peas as well as potato and sweet potato. You can also give them certain fruits in moderation like apple (NO PIPS they contain cyanide) and stoned apricots and blueberries. Avoid the onions, fats, gravy and sauces on the dinner, this just isn’t good for them. Don’t forget the all important post Christmas Dinner walk – enjoy it! Remember if you are worried that your pet may have ingested something they shouldn’t have to consult your Vet immediately. Thanks to the RSPCA for some great advice during this holiday season. Please note that this is a trade only show. London Vet Show is Europe's premier two day, conference-led exhibition for veterinary professionals, run in association with the globally recognised Royal Veterinary College and the British Veterinary Association. Not only are we at PATS Sandown but PATS Telford will see us there as well on 23 - 24 September 2018. 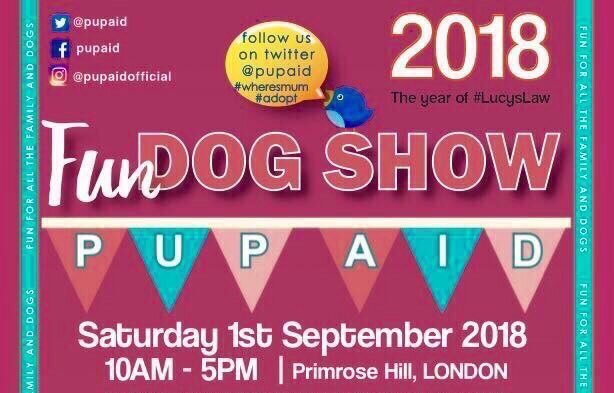 We are proud to be attending this great event - Every year this unique day gives the dog-loving public the golden opportunity to help raise awareness about the UK’s cruel puppy farming trade by attending this amazing celeb-judged fun dog show in London. Unfortunately Dogfest have taken the decision to cancel this weekends event and Knebworth Hall due to the hot weather and safety and welfare of the animals. We're excited to announce that we will be at Crufts this year - Hall 1 Stand 90. We are exhibiting at PATS Sandown 2018. The UK’s Spring Pet Trade Event! PATS is the UK’s largest dedicated pet trade exhibition with more than 140UK and International exhibitors. If you’re thinking of becoming a retailer of Broadreach Nature + then this is one for you – come and see our stand and chat to us more about the great opportunities. We're at Pets in the Park - the annual event hosted by The Friends of Cherry Hinton Hall. With an assortments of classes like the Best Veteran, Waggiest Tail, Best Rescue and the Cutest Puppy to name but a few! Fun classes to test your pet on the Sausage Recall, Musical Sit and many more with demonstrations from the experts. Once again we will be attending the Woodgreen Show in July and November 2018. From humble beginnings in 1924 Wood Green, The Animals Charity has grown to become one of the leading animal welfare organisations in the UK. Bournemouth Canine Association Championship Dog Show from Sat 11th August to Monday 13th August. Spectator dogs are welcome at £5. You just need to complete a declaration at the gate. Lots of stands selling anything & everything for you and your dog. AN OCCASION FOR ALL - INCLUDING FATHER CHRISTMAS! Come along for a festive afternoon of fun for all ages. Meet Father Christmas who is arriving in style! Enjoy a glass of mulled wine, hot sausage rolls, mince pies, apple cake - all served with a smile by Father Christmas's not so little helpers! Please come along and enjoy an afternoon of Christmas Cheer, Goodies and great bargains - or simply to meet your neighbours! We're at the Wood Green Christmas Extravaganza again this year. FREE ENTRY! Get into the festive spirit and join us at our indoor Christmas Market. With over 50 stalls selling a wide range of products from gifts, homeware and stationery, to presents for your precious pets, you’ll be sure to find the perfect gift for the whole family all under one roof. Plus enjoy a visit to Santa’s Grotto. Now in its tenth year, the London Vet Show brings you a two day conference-led exhibition for veterinary professionals, in association with the globally recognised Royal Veterinary College and the British Veterinary Association. Covering the worlds of companion, equine, farm and business in one place over two jam-packed days, the London Vet Show brings you 150+ hours of lectures from world class speakers, 450+ leading suppliers and unrivaled networking opportunities. We've got a stand at the National Pet Show - but what's it all about? IT'S THE HOME OF THE CUTE & CUDDLY AND THE WEIRD & WONDERFUL! See animal experts and celebrities, including the Supervet Professor Noel Fitzpatrick who will be presenting Noel Fitzpatrick Live, and TV presenter Michaela Strachan who is hosting SuperDogs Live. Get up close and personal to find out more about favourite pet and how to take care of them. Watch amazing animal performances including dog stars of TV and film, birds of prey displays including beautiful owls and SuperDogs Live - with some of the most skilled and heroic dogs in the UK showcasing their talents. Whether you like dogs, cats, rats, rabbits, reptiles, ponies, fish, chickens or chinchillas (and lots more animals!) - the National Pet Show promises to be a great day out for any animal lover! TICKETS FOR THE NATIONAL PET SHOW AT NEC, BIRMINGHAM ON 4 & 5 NOVEMBER 2017 ARE NOW AVAILABLE!! NOTE: Unfortunately no dogs, other than those that have been invited by the Kennel Club and Assistance Dogs, are permitted into the show. A charity dog show in aid of the Road Victims Trust on Sunday 1st October, in memory of Mitchell Bailey who was tragically killed in January this year. The Road Victims Trust are a small local charity who support families bereaved by road traffic accidents. All their counsellors work on a voluntary basis and all money raised will go toward this very worthwhile charity,. There are 6 pedigree classes, 11 novelty classes, (including a special novelty class for any cross labradoodle or cockerpoo) and a free puppy walk for puppies under 6 months. Rosettes to 5th place in all classes. There will also be a variety of stalls selling their goods on the day. Light refreshments will be available all day too so come along for a great day out with your four legged friends. See all their details on the Facebook Page. or on their webpage here.The list of Craft Marquee exhibitors has now been updated. The number of stands has just reached 50, so there will be plenty to see, admire and buy here. Maybe a handmade wooden toy for a special young person you know? Great day out for all visit their Facebook Page. We look forward to seeing you all there! Great day out for all the family and free entry to the Ramsey Rural Museum. Launching our All Natural Dog Training Treats and Organic Coconut Oil for Dogs. 12 – 6pm. With an assortments of classes like the Best Veteran, Waggiest Tail, Best Rescue and the Cutest Puppy to name but a few! Fun classes to test your pet on the Sausage Recall, Musical Sit and many more with demonstrations from the experts. Registration for classes at 12 noon. The UKs Summer Festival for Dogs! DogFest is a fun-filled, action packed day for you and your dog, hosted by Channel 4's Supervet Noel Fitzpatrick! We will be at the Wood Green Animal Fun Day - a great day out for the whole family with plenty of fun packed activities to enjoy and take part in. Join us in reading about our tips and advice for your gorgeous pets leading up to and over the Christmas time. Every day up till Christmas come and follow the tips and hints of how to make your doggie’s Christmas as wonderful as your own. A big thank you to everyone to has liked or shared our page and for following our 12 days of Doggie Christmas! With Christmas Eve tomorrow Anne and the Broadreach Nature + Team want to wish every one of our Special Pooches, Furry Friends and their Lovely Families a very Merry, Wonderful Christmas and a very Happy and Healthy 2017! We will be continuing our blog on a weekly basis looking at all aspects of your Pet’s health so do stay in touch and we look forward to being of service to you throughout 2017! At this special time of year we like to treat and make special fuss of our own pooch but what if a dog doesn’t have their own family? There are so many dogs some of whom have been living in shelters for a very long time in desperate need of a loving family home. Fred is looking for his forever home - could it be with you? The Charities do a really fantastic job in creating a supportive and caring environment for these Dogs and Cats but its not the same as them having their very own home to cozy into. If you are like me and enjoy putting your Christmas Presents under the Tree in readiness for the big day there’s afew things to be aware of to help our furry friends. Try and supervise them when they are around the presents and if you go out leave them in another room away from temptation! Dogs have extremely sensitive noses with a fantastic sense of smell approx 40 times better than ours! So they can sniff things out even if the presents are securely wrapped up! Best to remove any pressies that contain spices or batteries as dogs have been known to chew or swallow them. Chocolate is as im sure you know very toxic to dogs as it contains a chemical called theobromine which is poisonous to dogs as well as to other animals including cats, rodents and rabbits. We all love puppies but the saying ‘A Puppy is for life not just for Christmas’ is so right. A lot of breeders will not sell puppies over the Christmas period for fear that they will be a surprise for a loved one only to be discarded after the initial excitement has passed or the novelty to wear off and then the poor puppy who has just got used to his or her new family is then rehomed or taken to a dog shelter. The most important thing is that any new puppy owner needs to realise the first six months of owning a puppy is full on and hard work from teaching them to toilet outside (usually hourly to start with) to training them socializing them with other dogs and puppies and in fact all the sites and sounds around them etc. so the whole family really has to buy into the idea of having this little bundle of fun and energy welcomed into your family. Christmas is very much a family time with a lot of the family often being off together which in this day and age of working families can be quite rare. So in one way it’s a nice time to bring a new family member into the fold. Do you live in a house or flat ? If in a flat is there access to a garden and does that involve flights of stairs to get to it? Toilet training is taking the puppy out every hour so this may not be practical with a lot of stairs to climb each time. Are there any dog allergies in the family to consider either to their coats (dander) or to their saliva and have at least one puppy book having been thoroughly read through to understand abit more about what is involved.